Say "Yes" to holidays far from the maddening crowd - sunshine, the blue waters of the Adriatic sea, silky sands, rich wine and fresh fish… no cars and hotels… this is Your dream island - Susak. The island of Susak is situated in the Northern Adriatic, some 10 miles southeast from the island of Losinj. This wonderful natural phenomenon was created by the river Po which kept depositing its sands on the rocky surface of the island for thousand and thousands of years. The sandy cascades are home to its famous reed. The island was appreciated by the Romans already for its excellent wines, hidden sandy bays, pristine clear waters and sands used for medicinal purposes. Tourism flourished during the Austro-Hungarian reign when doctor Hojs organized a health spa in the Bay of Bok. Nowadays this is the island of expatriots. Over 3000 of original inhabitants and their descendents live in New York City. The island is home only to around 200 local people. But it is slowly becoming a European retreat of house owners searching rural pleasures and peaceful artistic existence. Throughout the year the island has a daily connection with the island of Mali Losinj and the mainland either by ship or catamaran. The island has a an elementary school, a post office, health care center, typical village pubs where you can get famous squids from the Adriatic Sea. 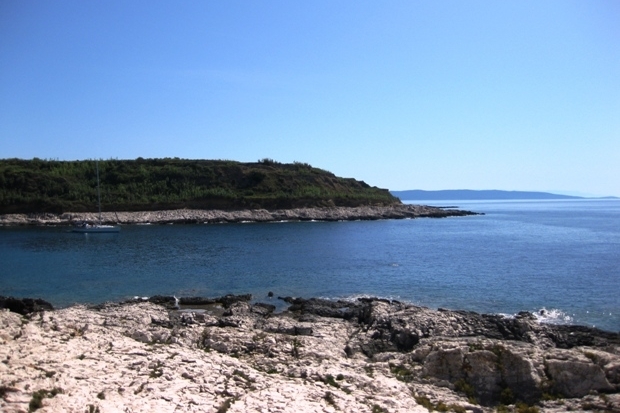 The island of Susak was proclaimed a national heritage therefore there are no hotels and no cars on the island.